This standalone access control requires a numeric code to operate, and incorporates two separate relays. The first and main relay allows up to 1000 codes users, the secondary relay can generate up to 10, or possibly serve as a wake. Both relays this keypad has a breaking amounting to 0.25 amps and 125V AC, 30V DC and two amps maximum. 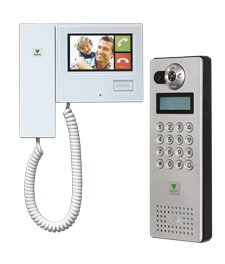 This keypad can be mounted easily on a wall or a post. Its housing is made ​​of stainless steel and its buttons are metal. 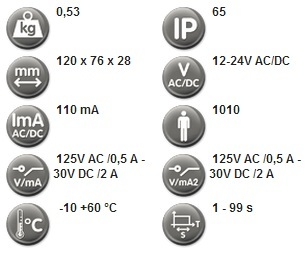 The power rage of this keypad is large because the voltage range is 12 till 24V, and the current may be either AC or DC. In addition, the keypad uses only 110mA. With a blue backlit numeric keypad that makes the numbers visible even at night, this keypad is also provided with two LEDs. These guide the operator during programming and visually validate the code dialed by the user: if the light is green, the action was recognized by the keypad . 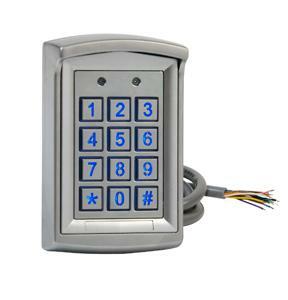 In a very rugged keypad can be installed outdoors. It is resistant to temperatures from -10 ° C to +60 ° C, and is also consistent with the protection class IP 65. This means it is dust tight and protected against water.